I have been honored to be selected as an annual judge for the Follett Challenge. Over 130 schools and districts took the Follett Challenge this year and I have the unique opportunity to view and vote from the selection of finalist for the grand prize. You can also be involve! The public voting will begin next week for the seventh annual Follett Challenge “People’s Choice” awards. The 10 “People’s Choice” prizes will be awarded to those schools/districts that receive the highest number of online votes from the public for their three- to five-minute videos, which were submitted as part of the application process. Voters are eligible to cast one vote per day for their favorite videos from Monday (Jan. 22) through Friday, Jan. 26. All the submitted videos can be viewed by visiting www.FollettChallenge.com. Voting does close on January 26. Now let me tell you why you want to watch the videos that these students and teachers have created. 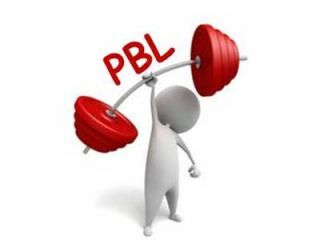 Perhaps you are a teacher or librarian that is looking for some amazing PBL ideas that you can replicate in your school. You might be an educator looking for that special school project to involve students. Perhaps you are looking for something to inspire your own creative thoughts inspiring that next great lesson or project. You will be amazed as you watch these wonderful video experiences. You will see that the Follett Challenge is a program that rewards top-notch educators who are aligning their curriculum to teach 21st century learning skills. .
After viewing and even casting a possible vote, you may decide to check out the Follett Challenge website next year for your own school or district. The program dates for this year included an entry period starting in September with culmination in December. Learn more about contest information and submissions along with this year’s prize information starting with one gand prize and two semifinalists earning a combined total of $120,000 in material. Add on another $80,000 for those “Peoples’ Choice Awards”. Now for my favorite part of the Follett Challenge Website. I call it a wonderful goldmine of PBL ideas. In fact, I feel like a winner from just viewing some of the wonderful possibbilities. Click here to view 60 winners going back to 2013. You will find a video of each winner along with some of the most authentic PBL ideas collected anywhere. Take note that there categories include elementary, middle, and high school! Viewing these wonderful school and district project ideas will make you smile. Better yet, you might be ready to make it happen at your school next year! Thank you for joining me as we both discover some amazing educational thoughts and ideas! Please take a moment to share this post with other educators across the world. Please accept my invitation to you, which is the opportunity to be a part of another year of postings, by subscribing by email or RSS and follow me on Twitter (mjgormans). You will also find a treasure of resources covering 21st-century learning, STEM, PBL, and technology integration for the classroom. Best wishes to you in this wonderful New Year!